The Lion Guard from Disney Junior has been a huge success both in the programme and toy ranges. Being a spin off from the original The Lion King, it’s sure to appeal to little ones and something us adults can look back on fondly and share with our children as well as enjoy the new Lion Guard series. The new range of talking plush toys are fabulous for little ones and come in either Kion the lion or his best friend Bunga the badger. We received Kion to try out from Flair toys and he certainly didn’t disappoint! Each character is approximately 30cm in size, made to an exceptionally high standard and looks great in both detail and stature. Being high quality means this little lion plush can not only stand on it’s own four legs but can also sit down on his hind legs independently looking really cute. A key feature on each character is the ‘Mark of the Guard’ badge on one of their fore legs which lights up as it is pressed. Each time you press the badge you’ll here one of four unique phrases and sounds. So what did we think of the Kion plush toy? The Kion plush from The Lion Guard is utterly adorable and hasn’t left my little boys arms since he received it. It goes to bed with him every night and he plays with it by day. It’s a great size, we love it’s quality and it’s a toy I’d definitely recommend to any young The Lion Guard fans. The detail on the face is perfect and realistic, it has a mouth that is open ready to roar and the whole body is super soft and perfect for cuddles. 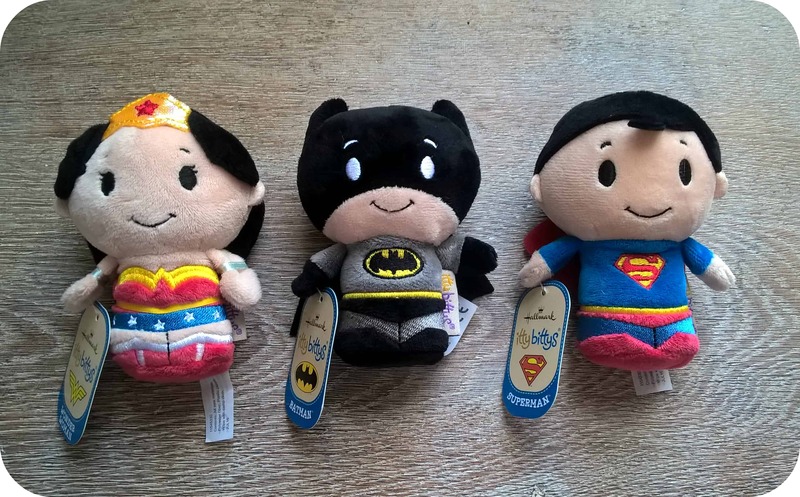 Itty Bittys are a new range of collectible plush toys from Hallmark. Arriving in the UK in October 2015, they have already been a huge success in both America and Australia, selling out in some of the popular models. 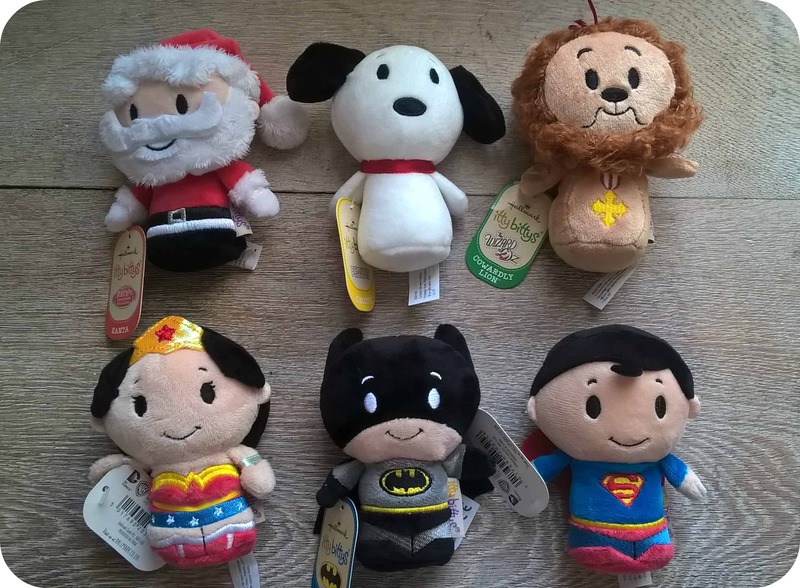 Itty Bittys are based on popular tv and film characters that will be familiar to all, allowing you to choose your favourites to collect. I believe these will appeal to all ages from children to adults and the UK will soon see people collecting them as they are in other parts of the world. First of all, I have to refer to the name Itty Bittys. They are so called this due to their size being just 4 inches tall, small but such a cute size and of a shape that’s perfect to hold in your hand. The quality of these is excellent and they are well made with a good amount of detail. They have beans in the body of the character making them tactile to hold and also it means that they can stand up! This really adds to the cuteness of them and a collection of these on your shelf would look great. So onto the characters, there are lots of series of different ones, of which I received a selection. One of the first characters that will be launching in the UK is Batman and I have to say he doesn’t disappoint – he is super cute!! He forms part of the Superhero series which you can see below also contains Superman and Wonder Woman. I actually love these Itty Bittys much more than I expected too, as do my children who have been battling out which ones they each want!! 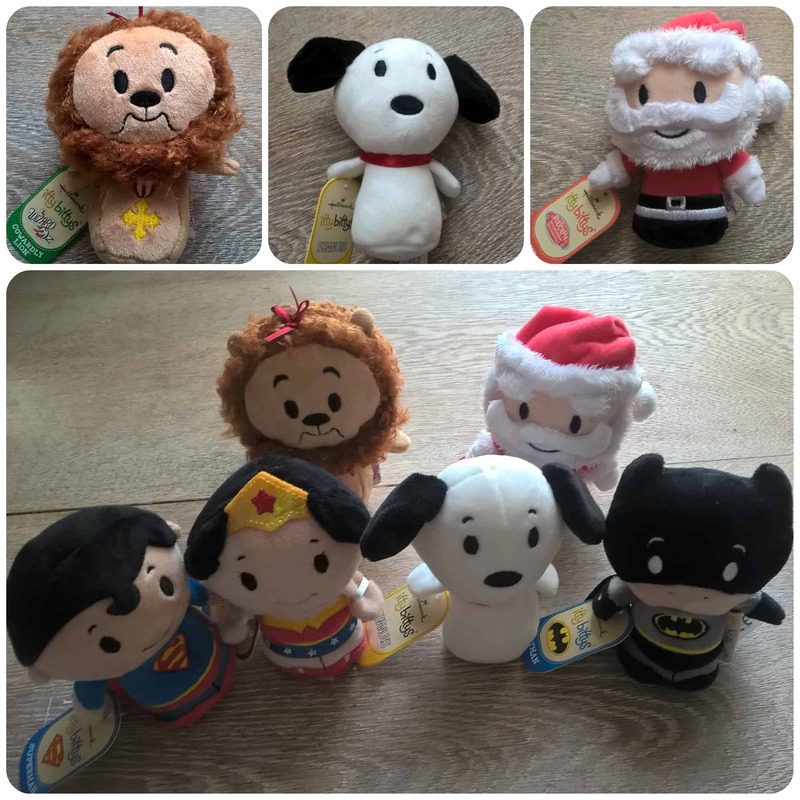 They are cute, soft, small and make a great collectible, stocking filler, small gift etc. I have a set of Itty Bittys up for grabs for one of my readers containing a selection (may vary from my selection above) similar to the ones I received. Retailing at around £6 each, the lucky winner will receive an Itty Bitty bundle as soon as they are launched! Just fill in the Gleam widget below for your chance to win. All reviews are my own and my family’s opinions and we received the Itty Bittys in order to write the review.